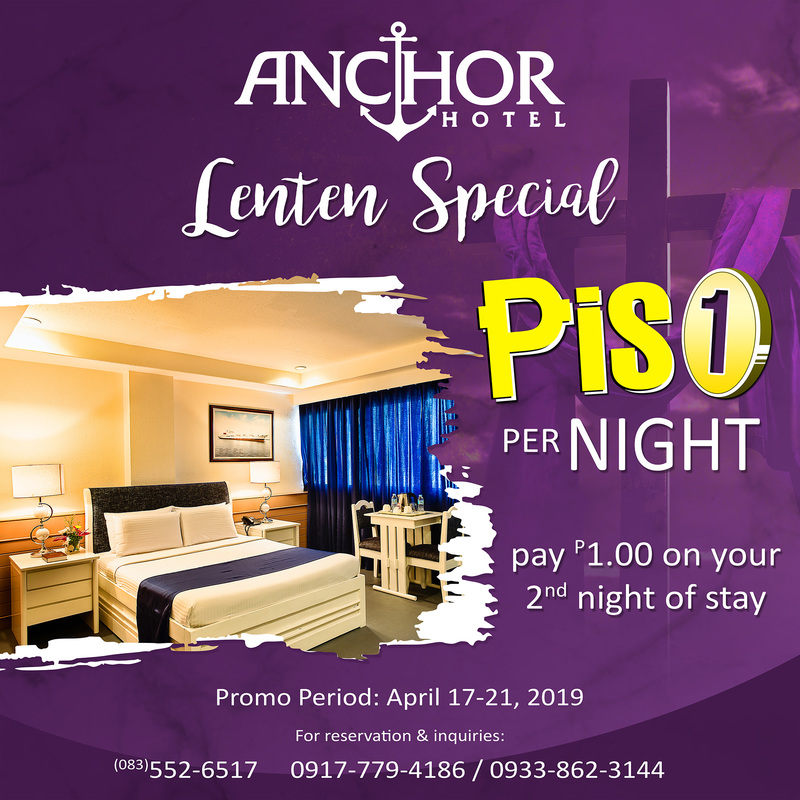 As we observe the Lenten Season, Anchor Hotel offers “Lenten Piso Rate Promo”. Stay overnight in well-appointed room and avail 1 PISO on your second night! 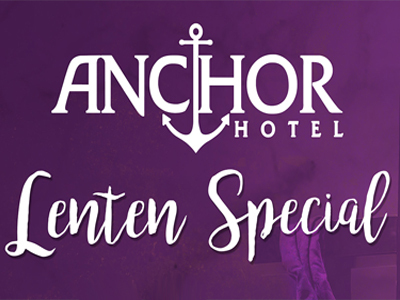 Promo period: April 17-21, 2019. For inquiries and reservation, please contact these numbers 552-6517 or 09177794186/ 09338623144.